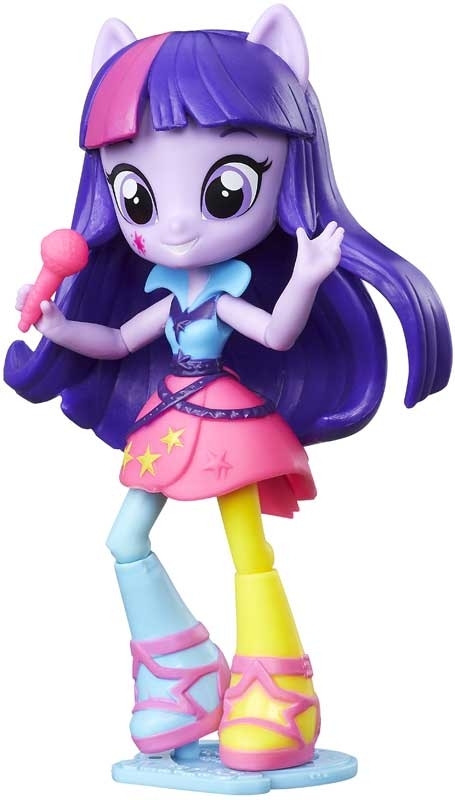 The Equestria Girls Minis have 9 points of articulation and are sporting a fresh new look with bright neon colours! 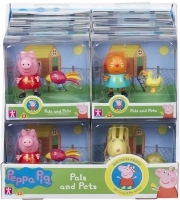 Scan the codes on their collector cards to unlock the EG integrated app on a smart device. 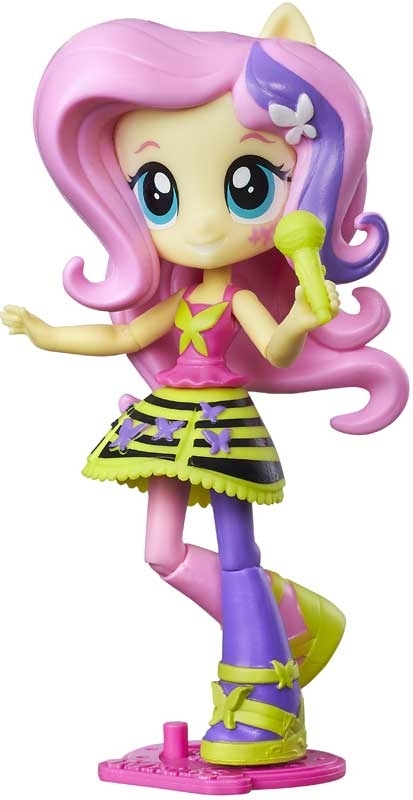 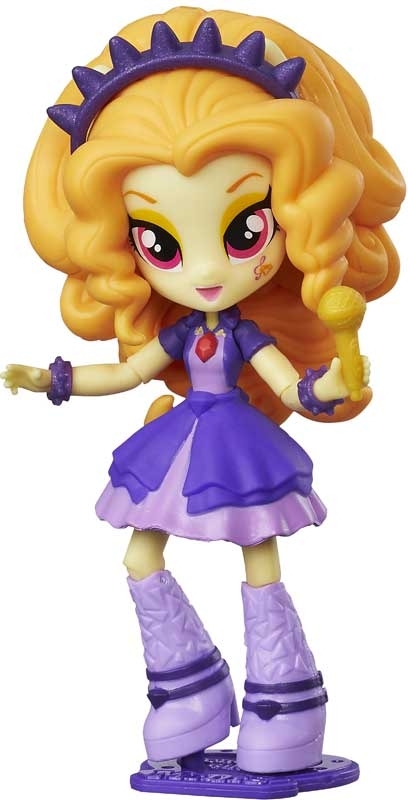 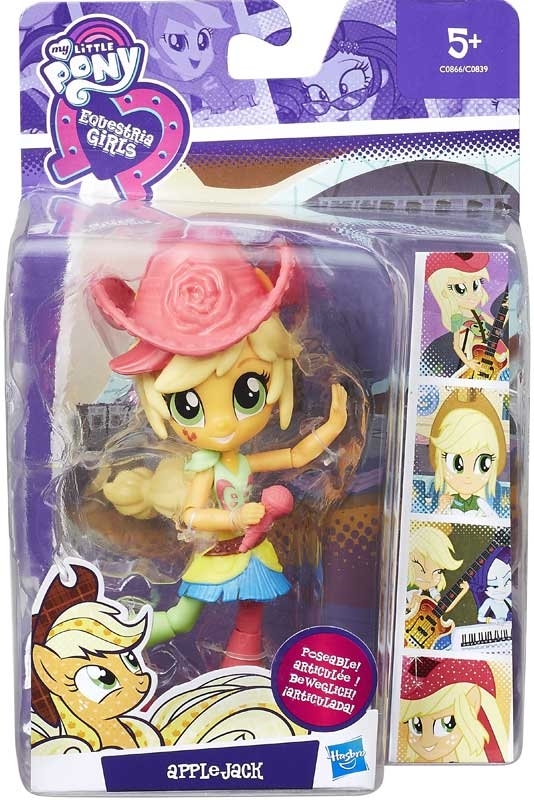 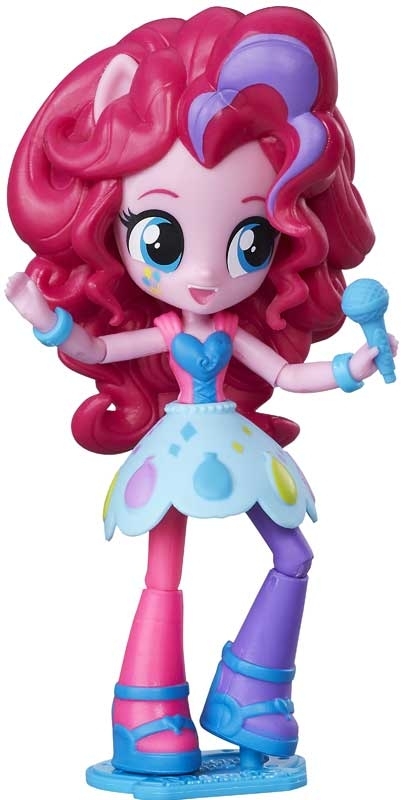 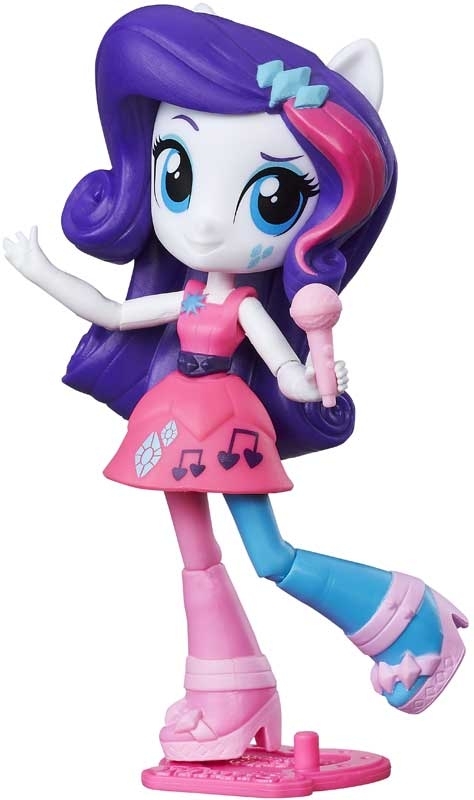 The assortment includes 6 Equestria Girl mini figures, each with a skirt and 1 or 2 accessories: Adagio Dazzle making her minis series debut, Twilight Sparkle, Rarity, Fluttershy, Applejack, and Pinkie Pie.